Become a part of the best office supply program available. ChamberSolutions has joined with Excelerate America to expand Chamber Communities, a nationwide program of Chambers of Commerce, Associations, and Buying Groups working together to increase member value, and support local business growth. With more than $100 million in office supply purchases, Chamber Communities has the Buying Power that drives savings and enhanced services. Simply put, there is no other office supply member benefit program that can match the scope, breadth, and savings of Chamber Communities. ChamberSolutions promotes and markets Chamber Communities to local chambers of commerce across the country. The team at Excelerate America manages the day-to-day activity of on-boarding and supporting chambers, servicing members, monitoring contract compliance, and negotiating program pricing. Office Depot fully supports Chamber Communities and views this program as a means to differentiate themselves from other online retailers. There are nearly 6 million small and mid-size businesses located within 3 miles of Office Depot's 1400+ retail stores. 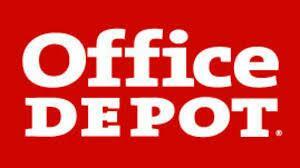 Office Depot invests in local business communities because they are part of the local business community. While a global company, business is built around the many 1:1 relationships that make business personal. When shopping online, members access contracted items via "core lists." *Even when an item is not included in the core list, the program offers 5% - 10% off everything else! The Mobile Member Connection can be used to access program savings, specials, and support through a mobile device. Chamber Communities is managed and administered by Excelerate America.